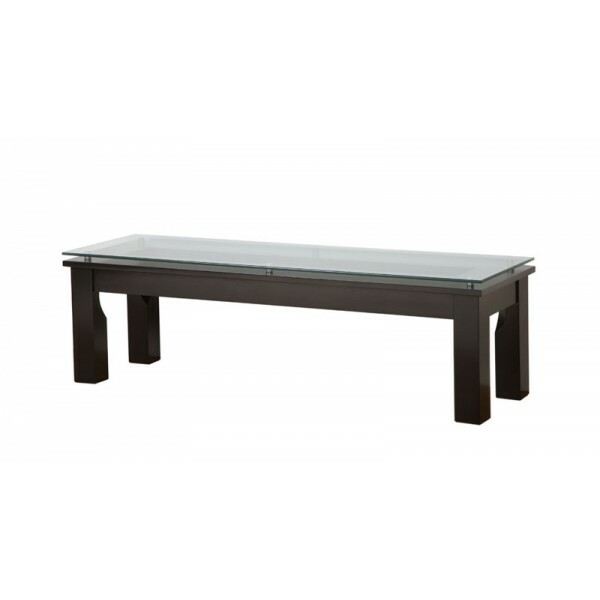 More on the Plateau SL Series Glass Coffee Table (Black Frame Clear Glass) SL-TCR (50 x 15) (B) below. A floating, smooth-edged clear safety glass top shelf. Real wood framing in a Black Satin finish, designed to resemble sleek steel, without the added weight! A durable textured black powder-coat finish on all metal parts. Constructed of painted hardwood parts and high grade smooth edged safety glass.